A lead designer at Volition answers a few behind the scenes questions about the development of Saint's Row 2. With the release of Saint's Row 2 just around the corner, we recently had an opportunity to speak with James Tsai with Volition, the lead designer of Saint's Row 2. His responses are very candid, and discusses the development of the game, features that didn't make it into the final cut, and the challenges and benefits to having a multi-team studio. Shawn Snider (GamingExcellence): Thanks for taking the time to answer our questions. First off, can you tell us a little about yourself, your role at Volition, and how you were involved with the team developing Saints Row 2? James Tsai (Volition): I'm James Tsai, and I'm a lead designer at Volition. I was the project design director for Saints Row 2 and was part of a team of over a hundred dedicated artists, programmers, audio designers, gameplay designers, animators, and testers working on the game. We've been working on it for over three years, and actually began more than a year before the original Saints Row was released in stores. Shawn: What can you tell us about the Saints Row franchise, highlighting a few of the new features in Saints Row 2? 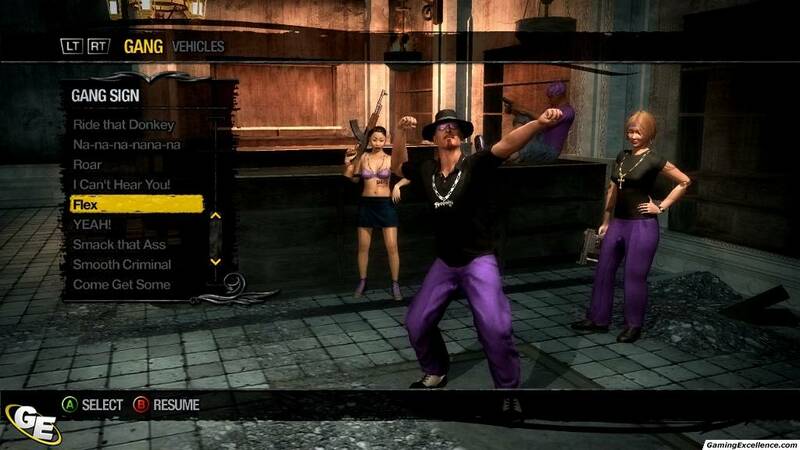 James: Saints Row is our open world, urban action franchise. 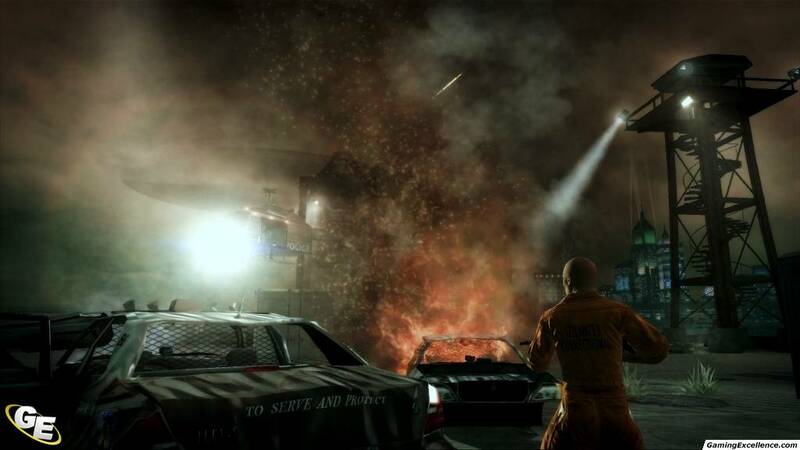 The player is a member of the 3rd Street Saints, a violent street gang bent on dominating the fictional city of Stilwater and thus often at odds with other gangs, business owners, corporations, the police, schoolteachers, social workers, old blind people walking their dogs, and virtually every law-abiding citizen out there. The sequel we've been working on expands upon its predecessor in numerous ways. We have new vehicle types, like motorcycles, airplanes, helicopters, boats, and jetskis. We feature fully enabled co-op from the beginning of the game to the end, so you can play on-line or system linked with a friend and share all the laughs and excitement of our missions together. And we've continued to expand our combat system with new abilities and weapons that complement our over-the-top setting and our team-based multiplayer. Shawn: Volition is a moderate sized studio, at any given time the studio is working on at least two projects. We've already seen a bit of team interaction with the reference to "Ultor Corporation" from Red Faction. Do you find that multiple concurrent projects are a benefit? Do the teams interact at all for development ideas and share technology. If so, can you cite a specific example of how this has benefited the development of Saints Row 2? James: There are a lot of benefits as well as challenges when working in a large, multi-project studio. In terms of a knowledge and information sharing standpoint, teams can really help each other out; in the case of Red Faction: Guerrilla and Saints Row 2, both of these games are open world and there are some definite design lessons each team learned and passed on to the other. Programmers and artists from the teams regularly meet and talk about what they're doing, what challenges they face and how they overcome them. And though the engines for these two games are different, there's still some technical assistance the teams can provide each other beyond just sharing learned lessons as well. For instance, at one point in Saints Row 2 we actually had several of the Red Faction programmers join our team on an interim basis to assist with several systems like physics and vehicles...we affectionately called these guys our "mercenary" programmers. But you have to be careful and balance the demands of each project as well, making sure you're not leaving one shorthanded at critical times. It can definitely get tricky for the studio, managing the schedules and roles of all the different people across multiple projects. Shawn: With so many open world shooters on the market, and going against a mammoth franchise like Grand Theft Auto, what does Saints Row 2 bring to the table that makes it a different experience? 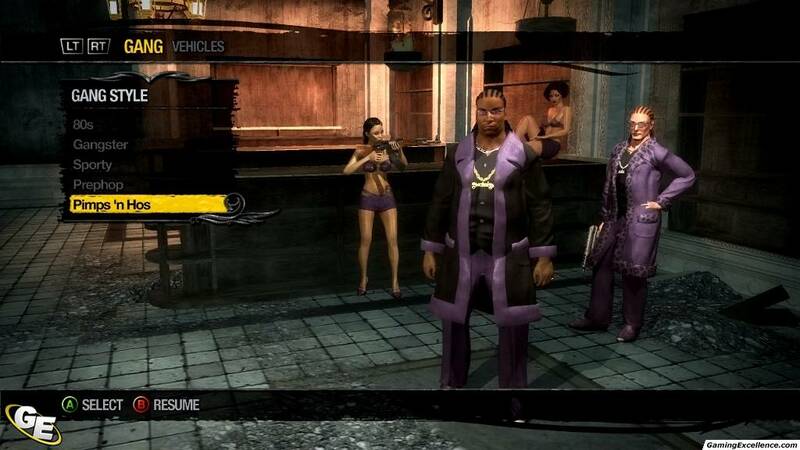 Specifically, as a consumer, what does Saints Row 2 offer me that I can't find in other open world games? James: In Saints Row 2, we're giving the player the power to take ownership of their open world gaming experience like never before. The level of customization we offer goes far beyond just manipulating the physical aspects of your character's appearance and also delves deep into the gameplay realm. Different things like fighting styles and move sets, the kinds of vehicles your gang uses, even which activities you want to do to unlock more missions are driven completely by player choice. If you love what you're doing in Saints Row 2, you keep on doing it, and if you don't, you'll have tons of other choices in the game. The fully integrated co-op is another point where we have really set ourselves apart. We're not just setting two players in the same environment and giving them a collection of stationary targets to rack up, but instead setting them off on fully scripted missions with some very complex elements to them. 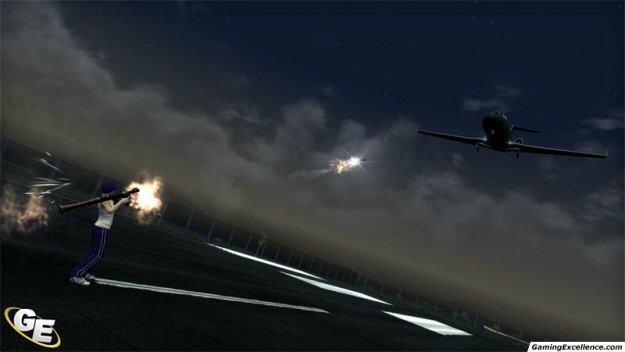 Stuff like chase sequences where you're shooting down aircraft with a friend, coordinating attacks on boats from different vehicles, and so on. Watching all the true open world cooperation and interaction during our playtests was loads of fun, and I can only imagine the inventiveness players will demonstrate when the game is in stores. Shawn: Did you find anything that didn't work in the first game that you've adapted this time around? Likewise, did you guys have any visions for features that didn't pan out in play testing? 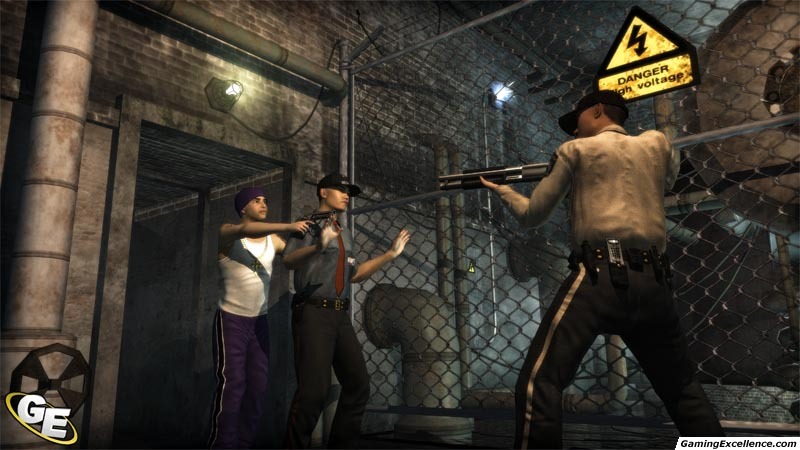 James: Some of the Saints Row 2 feature set is a logical extension of what was in Saints Row 1. 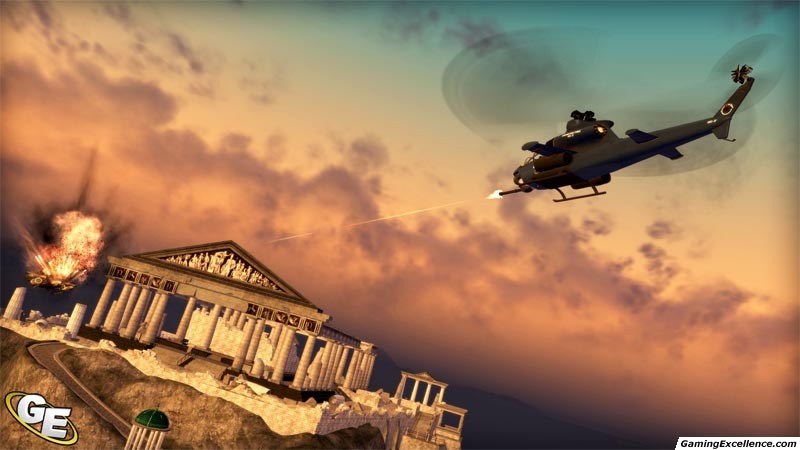 For instance, the new vehicle types I mentioned earlier, like airplanes and helicopters are things we'd loved to have seen in the first game but didn't have time to get working properly. But there's more ambitious stuff that emerged as we went along too. Adding co-operative play wasn't originally on the table for the first game, but it seemed like a natural direction for us to go in after we got more and more comfortable with open world development. Many of our efforts for the sequel went in to enriching the world, both in terms of the environmental scope and also from a technical aspect as well, with more believable ambient AI behaviors and functions. As far as ideas or features that didn't pan out, you could write volumes on all the different stuff we tried in development. I don't think that's unique to any one project or studio; a fun game is rarely the product of design brilliance or a truly unique concept but instead is a brute force labor of love where you have tested and exhausted idea after idea and thrown out the bad ones, every step of the way. In the beginning, we looked at some pretty far out stuff - gang alliances, business management, buying off politicians, all kinds of simulation type of stuff that now, in retrospect, clearly didn't seem right for what we wanted to do. We tried lots of different activity mechanics and axed several early on, others after unsuccessful prototypes. The amount of trial and error going into games of this size is truly staggering. Shawn: Tell us a little about how you've approached multiplayer this time around. What did you lean from the first game in terms of multiplayer. Can you briefly describe the new "Strong Arm" multiplayer mode? James: Doing multiplayer for a second time was a huge boost to the team in terms of knowledge and experience. In Saints Row we definitely made some mistakes on the multiplayer side, and from that we learned a lot that we were able to apply this time around. We now had more familiarity with network code, looked at some stability problems, and so on. We also benefitted from the balancing lessons we learned on the first one, tweaking the health mechanic, sprint times, and weapons tables accordingly. 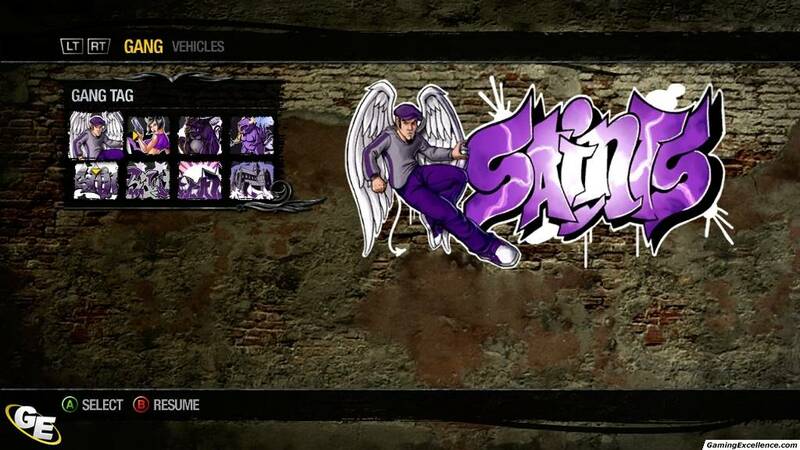 We also took the basic customization we had in the first and built upon it for Saints Row 2's multiplayer, meaning that the multiplayer customization rivals the extensive number of options and choices that gamers get on the single player side. 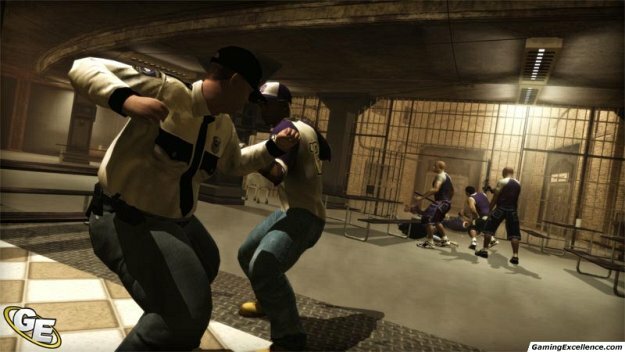 We had three major goals when approaching multiplayer for Saints Row 2. The first was to improve cohesion between single player and multiplayer, so that the weapons and gameplay you were familiar with from the story campaign would behave the way you'd anticipate in the frenetic pace of an online multiplayer match. The second was to have non-stop action - to force interaction between players whenever possible and not have them wandering around aimlessly in the city. And the final goal was to create one massive game mode where all our players would get involved rather than fracturing our user base over different modes. That was actually another big lesson we learned from Saints Row in terms of giving players quick and easy matchmaking and more chances to play with other people. 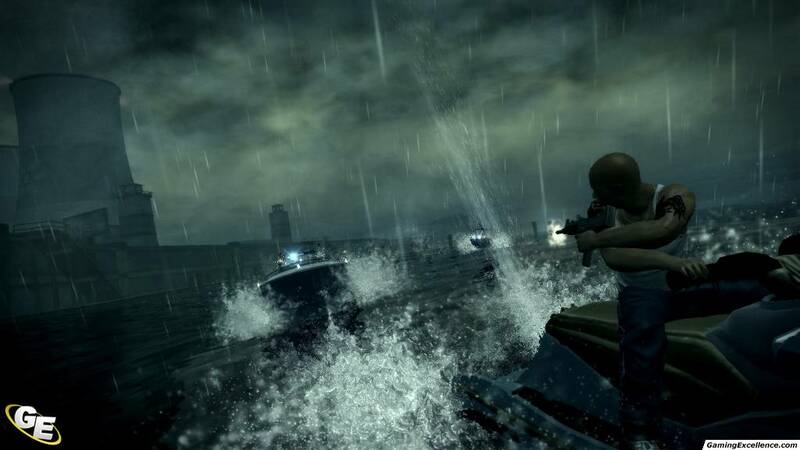 Shawn: The design of Stilwater in Saints Row 2 is very close to the original game, with various aesthetic improvements and other functional modifications. Can you go into a little bit of detail with the sort of changes we can expect to see this time around in terms of the city layout? 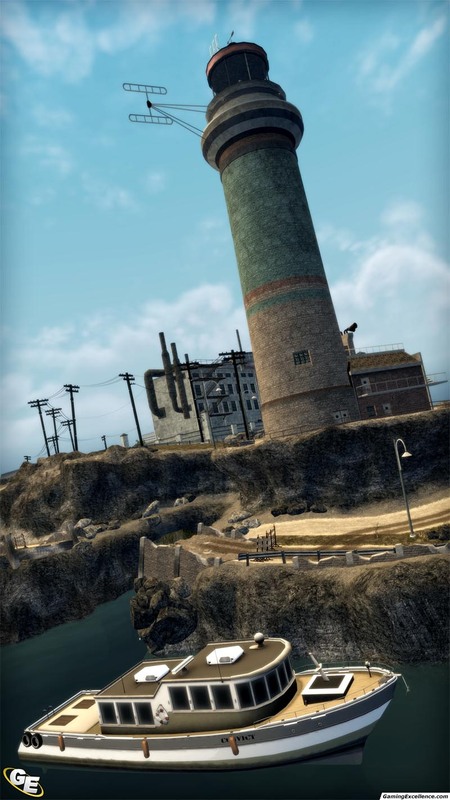 James: From both an environmental and thematic standpoint, the city of Stilwater has become quite a different place in the intervening years between Saints Row and Saints Row 2. Though it's only been a few years in terms of story, we went all out and packed in an unrealistic amount of change because we wanted to emphasize fun and rediscovery for the players. The city itself is now 50% larger, with several new districts and islands comprising the bulk of the growth to the west and north. Stilwater now has its very own (barely) accredited university, a trailer park, nuclear power plant, prison, and boardwalk among other new areas to explore. There are some tourist attractions as well, including a massive underground network of caverns and a huge, multi-story shopping mall. With over a hundred interiors to go into, there's no shortage of places to explore in the game. But the "familiar" neighborhoods won't necessarily be all that familiar to the player either. In fact, every district in the city that is returning from the original Saints Row has gotten attention from our artists and designers. The changes here can range from cosmetic facelifts all the way up to complete renovation and revitalization. The home district of Saints Row is probably the best example of this. No longer a run down, depressing neighborhood with crumbling buildings and gang violence erupting on every corner, it has been completely rebuilt with skyscrapers and coffee shops on every corner and is dotted with transplanted trees and cruising luxury vehicles. Shawn: The customization in the first game was considered one of the major strengths; in fact our own Warren Dunlop described it as "(with) character creation, you are thrown into a menu set which puts The Sims to shame". Can you elaborate on how this has been enhanced for the sequel? James: The most obvious addition to our system that people will notice is the ability to play as a female character. Our goal with our customization system was to make sure players could physically create anyone they wanted in Saints Row 2. So, in addition to setting the gender, the level of fine tuning we allow is very intensive, even more than what we allowed in the original game; the nose itself has over a dozen sliders that allow players to adjust width, height, tilt, and angle of various parts, and even tweak things like nostril depth and visibility. Coupled with the ability to edit your personality and taunts along with your fighting style and stuff like compliments and taunts, our character creation gives everyone the chance to make their experience absolutely unique. Shawn: Activities were a big part of the first game. Can you describe a few of the new activities, and any changes made to the implementation of activities and respect? 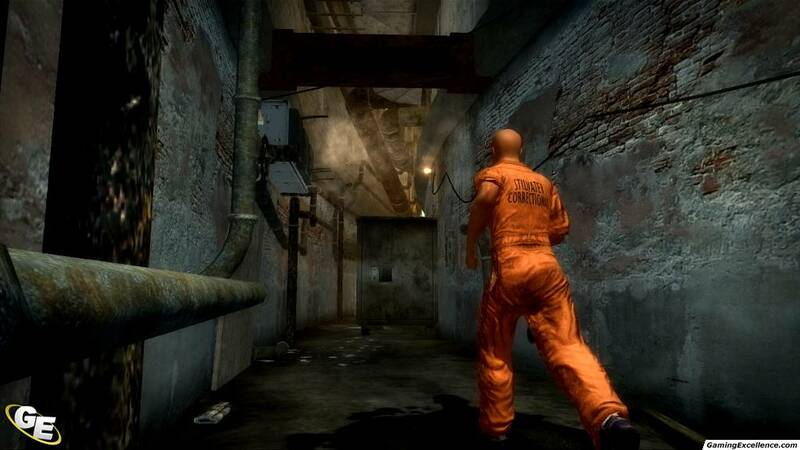 James: Activities are still the quickest way for a player to earn respect in Saints Row 2, which they can then use to successively unlock more missions and gameplay. One of the big changes we made was to increase the number and quality of rewards given by activities; if you want to earn cool abilities or unlocks like unlimited ammo or cool vehicles, activities are where you can get them. Also, by increasing the number and type of activities in the world, we also gave more options for players who may not enjoy every single one. There's far more respect available for earning in the world than is actually needed to complete the game, so if there's an activity you can't stand, you don't have to do it and can quickly find another to your liking. We really emphasize variety with our activities, especially the new ones. In our fight club activity, players join an underground mixed martial arts circuit and duke it out with others. There's also trail blazing, where players hop aboard a flammable ATV and blow up everything in sight as they race through urban obstacle courses. Crowd control lets the player dispatch a celebrity's over-eager fans with extreme prejudice. We really strove to create something for everyone. For those who just enjoy messing around in the world, there are still other ways of earning respect as well in our new diversions system. With diversions, players will gain respect just by performing the tasks that come up over the normal course of the game; driving on the wrong side of the road, exploring new areas, killing enemies in stylish ways like headshots, surfing on cars, hitting jumps, and so on. There are also more structured fun diversions to do like rescuing people with the ambulance or acting as a taxi driver and delivering fares. Shawn: For the PlayStation 3, how does the game take advantage of the Sixaxis motion controls? As many titles have struggled implementing a useable model for Sixasis, how did you address these concerns and make the game accessible (and playable) with this control model? James: This Sixaxis is a very interesting control mechanic, but it can backfire on you if you try and force it into places where it doesn't fit since you risk diverting the focus from the overall game to the novelty of the player's command input. So for the PS3 version of the game, we give players the option to use it in places where it makes sense, like vehicle controls, where the motion of tilting blends into the natural use of the controller. But we stayed far away from trying to build mechanics specifically to that one peripheral mechanism, so you won't be thrusting the controller at the screen with your character's melee punches and kicks. Shawn: Thanks so much for your time. Is there anything else you'd like to mention? James: Just a big thanks to GamingExcellence for giving us the chance to talk about this game. It'll be in stores in mid-October, and you'll be able to find a bunch of us at Volition playing it online at that time. If gamers come by our message boards at saintsrow.com, they can talk with us and hopefully we'll get a chance to play with them in some multiplayer and co-op games soon! Shawn: I'd like to send out a thank you to the folks at THQ for arranging this interview. We're looking forward to checking out the sequel to Saints Row when it ships later this month.